Donald A. (Don) Kralik of Vassar, Michigan passed away peacefully after a long battle with MSA (Multiple Systems Atrophy) on the evening of Wednesday November 14, 2018 at the age of 80. Don was born in Saginaw, Michigan on September 4, 1938 to Adam Kralik and Ida Mae (Main) Rosencrants. He was a graduate of Vassar High, class of 1957. He married Diane Church on August 5, 1961 and together they celebrated 57 years of marriage. Don retired from Grede (Eaton) Foundry of Vassar in 1998 after having worked there for 39 years. Don was a member of St. Luke’s Lutheran Church in Vassar where he served many years on the financial committee. He loved the outdoors using hunting, fishing, camping and lawn mowing as an excuse to stay outside. He was passionate about traveling with his wife and cats (Buster and Gizmo) all over the US with a special love for Arizona, Texas and especially Alaska. He was a man that cared deeply for others which he expressed through his deeds. But more than anything his love of Diane, his children and grandchildren was his guiding light. Don is survived by his wife, Diane; son, Donald P. Kralik; daughter, Daree (Mike) Leslie; son, Jason Kralik; two grandchildren, Nicole Leslie and Justin Leslie; sister Sue (Jim) Varnum as well as several nieces, nephews and extended family. Don was preceded in death by his parents, his brother Robert (Carol) Kralik and his sister Joyce Kralik. The Kralik family will receive friends on Wednesday November 21, 2018 from 10:00 am until 12:00 pm followed at 12:00 pm with funeral services both at St. Luke’s Lutheran Church in Vassar, Michigan (916 Huron Ave. Vassar, Michigan 48768). Pastor James Plocher will deliver the funeral message and closing prayer. The family will honor Don’s wishes and cremation will follow. In lieu of flowers memorial gifts of remembrance can be directed to: St. Luke’s Lutheran Church, Multiple Systems Atrophy Coalition or to the Tuscola Medical Care Foundation. 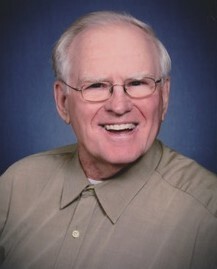 The Kralik family would like to extend their heart felt deep appreciation to the entire administrative staff, nurses, aids and general support staff of the Tuscola County Medical Care Facility with whom he developed a close bond for the care given to Don and to the family during Don's time at the facility.